Established in juancheng county, heze city, Shandong province , the biggest center of raw human hair market in china! 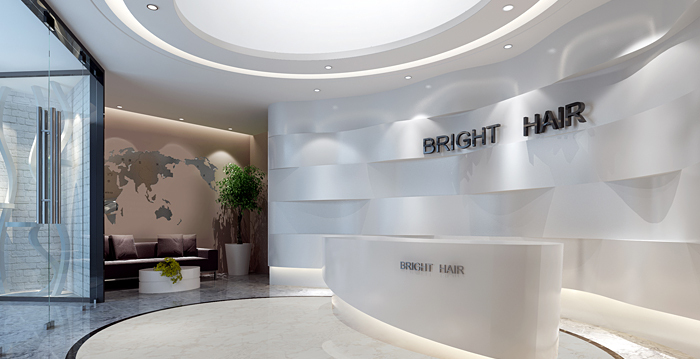 Qingdao Bright Hair Products Limited is a professional hair manufacturer with more than 15 years experience which was established in 2001. The total investment is 5 million dollars with an area of"16 200" square meters and more than 2000 staff. We specialize in designing and producing hair weave, Clip in hair extension, Tape in hair extension, hair bulk, I tip hair extension, flat hair extension, micro ring loop hair extension, nano ring hair extension, hair closure, hair wig and hair braids etc. Our products are available in various materials, such as 100% Brazilian hair, 100% Indian hair, 100% Malaysian hair, 100%Vietnamese Hair and kanekalon synthetic fiber. We have a strong team of R&D which enable us to create many fashionable designs, also QC department pay more attention to the quality of every products. All the products are exported to North America, South America,Europe and Africa, etc. In order to expand our production capacity, 4 more workshops had already established and enlarged the scale of the factory. Bright Hair owns football and basketball team, and they have won many championship representing our company. In spare time, we participate in sports games: football, basketball,also we pay much attention to protect environment, and has built sewage plant that will produce high quality products without any pollution. Dear friends, we warmly welcome you to visit our factory and truly want to become your reliable partner.